Happy Friday everyone! Today’s featured photo comes from the South Pacific paradise of Easter Island, also known by its native name of Rapa Nui. Easter Island is universally known for its moai, the giant stone statues that were carved by a society that lacked complex tools or technology. Less heralded are the roughly 6,000 wild horses that roam the island. 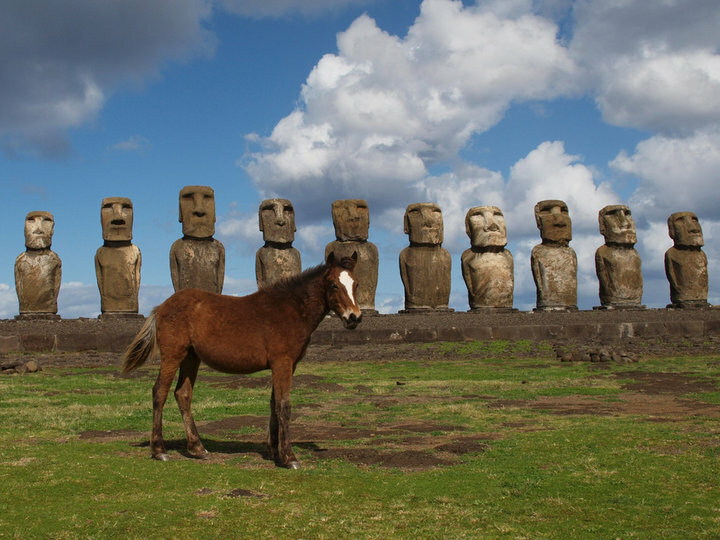 And just like everyone else, those equines enjoy having their picture taken in front of the moai. This photo was taken during my visit to Easter Island in September 2010. That’s one of the coolest pics of Easter Island I’ve ever seen. I’d sure like to visit someday. A little daunted by the distance. Sure looks worth it, though! @Lesley: Thanks. I was very lucky that this equine took this position when it did! 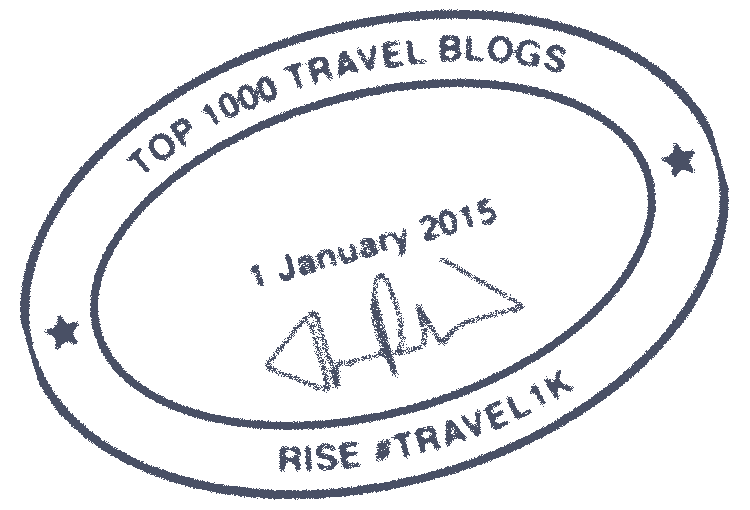 The distance isn’t as daunting as it may seem, because the island is a reasonable distance from South America. I flew from Santiago (about 5 hours); I understand that LAN has since added direct flights from Lima as well. So Easter Island makes a good combo with somewhere like Macchu Picchu, or Brazil (I flew from Sao Paulo to Santiago, and overnighted in Santiago on the way to Easter Island).